In our culture, a swan like neck is the symbol of youth. The skin is taut, smooth, and firm. As we approach our 40s and 50s, the well-defined jawline and neck may blur together as the skin becomes thin, crepe-y, and saggy. The area under the chin may become “wobbly” and fine lines and wrinkles may also appear in the neck area. At my Santa Barbara cosmetic surgery practice, we treat all stages of neckline aging. I will share with you tips on slowing down the aging process as well as treatments (non-invasive and surgical) that are effective in turning back the clock. In speaking with my patients about skin care and reading articles on the subject, I have found that the neck area is often neglected. This is ironic because the neck is usually exposed to the sun’s UV rays and environmental pollutants just as much as the face is (unless you are someone who wears turtlenecks and scarves year round). In fact, the neck skin tends to be more delicate than facial skin and so care of the neck area should be done daily. Treat your neckline as an extension of your face and feather down your cleanser, anti-aging serums, and moisturizer. More aggressive products like Tretinoin (“Retin A”) or products containing retinol may irritate your neck skin so use them sparingly and watch for signs of irritation (such as redness or peeling). The best thing that you can do for the neck area (and chest) is to apply an SPF 30+ sunscreen daily and re-apply if you are outside for a long time, have been swimming, or have been sweating excessively. If you have noticed that your neck skin seems just a bit less taut, one product that I highly recommend is Nectifirm. This neck-specific cream is formulated with special peptides, plant extracts, and anti-oxidants that address the changes in your neck as you age. The skin will look firmer and more lifted and can reduce the appearance of rough, crepe-y skin, fine lines, and wrinkles. Nectifirm is available at Evolutions Medical and Day Spa in Santa Barbara. A non-invasive skin tightening neck treatment can be ideal on many levels. There is little to no downtime, it can be more cost efficient, and it gives a nice result. I have developed Total Tightening which is a protocol combining two superior non-invasive skin tightening technologies (ReFirme and Titan) that can give the neckline a firmer look. Results are cumulative, so a treatment series is recommended (usually 4 treatments, about 4 to 6 weeks apart). Total Tightening is a great way to address skin laxity without needles or surgery. If your neckline has really succumbed to gravity and/or has fat accumulation that is causing a “wobble”, then Neck Lift Surgery may be your best option. This surgery creates a new “support” for your neck by tying the muscles under the skin to help create a “sling effect”. Incisions are hidden behind the ears and a small one under the chin. My Neck Lift patients express great satisfaction with the outcome of their surgery. An added bonus is that the removal of excess skin and fat can change the shape of their face – no longer looking “bottom” heavy – their face looks thinner and gives the appearance of weight loss. If you are interested in discussing neck lift surgery or other alternatives, feel free to contact my office for a consultation. Schedule an appointment with Santa Barbara cosmetic surgeon Dr. Terry Perkins by calling 805-563-0000. Click here to view more before and after Neck Lift Surgery photos by Dr. Perkins. Botox and dermal fillers are a great way to “defy” the aging process on your face but your neck may be giving away your “true” age. Unfortunately our necks are also susceptible to loss of collagen and the effects of gravity, which may leave you with a “turkey waddle” that certainly doesn’t match the rest of your look. If this is the case, you may want to consider Neck Lift surgery by Santa Barbara cosmetic surgeon Dr. Terry Perkins. When the neck area has succumbed to the aging process, three issues may be involved: sagging skin, muscle banding and local fat accumulation. Dr. Perkins will address each of these problems in order to make the neck contour what it once was. This can be done using incisions behind the ears and a small incision under the chin. If necessary, Dr. Perkins will tie the muscles together to create a “sling effect” for even better support. Is there anything you can do to stave off aging of the neck? If your neck isn’t quite at the point where a Neck Lift surgery is necessary than consider yourself lucky to be reading this post! Keep your neck area looking young by giving it the same treatment as your face. When you are cleansing, applying moisturizer, antioxidants, serum, or sunscreen, remember to feather it down your neck. Although your neck has fewer oil glands than your face, it is still exposed to the same elements so proper skincare and protection will do it a world of good – and may give you ten more years before a Neck Lift is necessary. Schedule a cosmetic surgery consultation with Dr. Perkins by calling Cosmetic Surgery Center in Santa Barbara at 805-563-0000. The neck can be a “spoiler” for some people by revealing their “true” age or even making them look older than they really are. While many of us take extra special care of our faces to prevent signs of aging by using Botox or fillers and having routine appointments at Evolutions Medical Spa for Laser Facials and peels, there are not many preventative steps you can take to make your neck look younger, or keep it young. Cleansing, exfoliating, moisturizing, and using sunscreen diligently on the neck area helps, but what can you do when the skin begins to look crepey and/or begins to hang, blurring the line between your jaw and your neckline? The best answer to that question is to have Neck Lift surgery. By surgically removing extra fat and tightening the skin, a person can regain the neck contour that they once had. Santa Barbara cosmetic surgeon Dr. Terry Perkins performs neck lift surgery by tying the muscles to create a “sling effect” for better support and a suspension suture is often used to give more long-lasting support to the neck area. Incisions are behind the ears and a small one is also placed under the chin. Dr. Perkins also performs a minimally-invasive neck lift surgery using special support sutures and limited undermining behind the ears. This is a good option for those who are looking for less dramatic results (or who may not need a full neck lift at the time) but the results do not usually last as long. 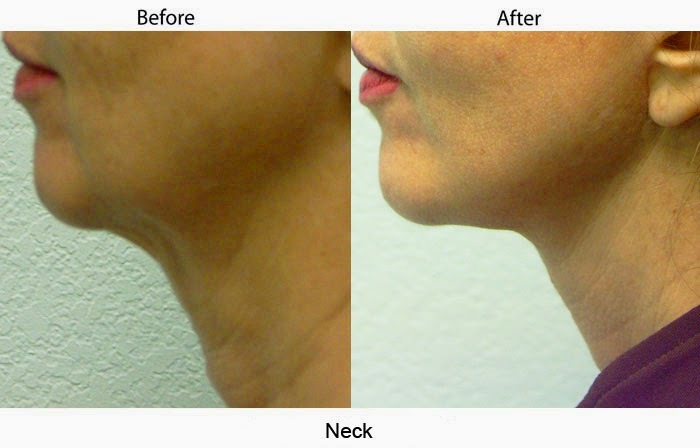 View more before-and-after neck lift surgery pictures on Dr. Perkins’ website. For a neck lift surgery consultation with Dr. Perkins, contact his office at 805-563-0000. Cosmetic Surgery Center is located in Santa Barbara, just a few blocks from Cottage Hospital. There has been a lot of speculation lately about whether or not Bristol Palin, former Dancing with the Stars contender and daughter of Sarah Palin, has had cosmetic surgery to refine her face – she recently appeared with a slimmer face and more defined chin and jawline. Bristol has not commented on her appearance, but many others have, speculating on what facial plastic surgery procedures she may have had. Possibilities include a neck lift – which removes the excess fat underneath the chin through small incisions behind the ears and under the chin and may have included tying the muscles to create a “sling” for better support (although often this is done in older patients where the muscles have sagged). 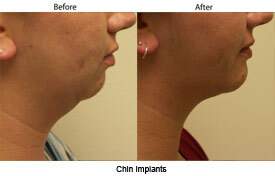 She may have also had a chin lift where a small implant is used to give a “weaker” chin better definition. Whether or not Bristol has had plastic surgery to alter her appearance, we may never know, but we do think that she looks great! Santa Barbara cosmetic surgeon Dr. Terry Perkins offers neck lift and chin lift surgical procedures as well as other facial cosmetic surgery options. View before-and-after plastic surgery procedures done by Dr. Perkins in Santa Barbara at his fully-accredited surgical suite located near Cottage Hospital. To book a Santa Barbara plastic surgery consultation with Dr. Perkins call 805.563.0000. Santa Barbara cosmetic surgeon Dr. Terry Perkins treats each patient on a case by case basis. When a person comes in for a plastic surgery consultation, Dr. Perkins takes the time to evaluate each person’s facial structure and listen to their “wants” so he can best meet their needs. Most patients, who are not affiliated with the plastic surgery industry, come in and assume that a full face lift is the answer to relieving a “heaviness” in the face. More often patients are surprised to find out that a full face lift is not necessarily the answer to achieving their goals. For example, when patients come in and express feelings about how their face looks “too full” and lacks “angles” Dr. Perkins may suggest a neck lift surgery, not a face lift. As a person ages, and depending upon their genetic make up, the neck area can sag and accumulate fat. Neck lift surgery involves three small incisions, two behind the ears and one in the chin area, and often muscles are tied to make a “sling” effect to better support the area. Patients are amazed at how different their face looks and often find that people think they have lost weight. Another option, dependent upon the person’s facial structure, for someone who wants more “definition” to their face is chin implant surgery. A “weak” chin can cause facial imbalance making features are not as “sharp”. Chin implant surgery involves placing an implant, available in different sizes to best suit the person, in a pocket that is made in the muscle of the chin area. As with neck lift surgery, chin implant surgery can have a dramatic effect on the face, “balancing” their features so they develop more “definition”. Dr. Perkins has been performing aesthetic cosmetic surgery in Santa Barbara for more than 30 years and has an expert eye for determining the type of facial rejuvenation a person may need. His cosmetic surgeries give patients a rested, “non-operated” look. Dr. Perkins sees patients at his Santa Barbara medical office (Cosmetic Surgery Center), near to Cottage Hospital, and at his Oxnard medical office. All surgeries are performed from his fully-accredited surgical suite. Call 805.563.0000 to schedule a consultation with Dr. Perkins. One popular cosmetic surgery procedure that Dr. Terry Perkins performs in his Santa Barbara Cosmetic Surgery Center practice is minimally invasive, with long lasting effects and often can dramatically change a person’s face. It happens to be a neck lift. The neck lift is a procedure that can help correct sagging skin and fat accumulation in the neck area – often referred to as a “double chin”. The neck lift is usually done using incisions behind the ears and a small one under the chin. Muscles are often tied to help create a “sling effect” for better support. A suspension suture is often used to give more long-lasting support to the neck. A neck lift has minimal downtown and satisfying results. A neck lift not only redefines the chin area, it often gives a whole new look to a person’s face. Now that the excess skin is removed, their face no longer appears bottom heavy and Dr. Perkins reports that his patients who have undergone a neck lift often hear from people that they look like they have lost weight! Many people believe that a neck lift may be something they will have to do “later” in life. Not at all true – Dr. Perkins sees patients, women and men, young and old for this procedure. People who have a “double chin” are not necessarily older and overweight. Many younger people have acquired it simply from genetics. The good news is that you can have a neck lift at any age. If you have questions or concerns, Dr. Perkins holds patient consultations in his Santa Barbara and Oxnard offices. Call 805-563-0000 to schedule your neck lift consultation. All surgeries are performed in a fully accredited surgical suite in Santa Barbara at Cosmetic Surgery Center.